What is the Positive Power and Influence Programme? The Positive Power and Influence Programme has lasting impact for individuals and organisations. Participants will experience a profound shift in their understanding of influence, their own presence and impact, and how to approach new and challenging situations. They will open up another world of thinking and behaviour. The learning process is managed in a climate of trust, support and challenge so that people can be open and honest with themselves and others. They take personal responsibility for their development. The programme is built around an easily understandable framework, The Situational Influence Model. Instead of listening to theory, learning is driven by direct behavioural feedback, coaching, and skills practise. Awareness of the important balance between achieving objectives and maintaining or strengthening relationships is reinforced throughout. Participants understand that this balance defines positive influence. When participants leave they are totally clear about their strengths as an influencer, and know exactly what they can do to develop their impact. They understand how their values and beliefs can get in the way of their ability to influence, and how to overcome these so that they can be effective and authentic. They are equipped with a simple toolkit to help them assess situations, including the needs and motivations of others, so that they can plan how to approach any situation and be agile and resilient, whatever they are facing. And they join a community of influencers who will inspire them to stay connected to their learning and support their continued growth. 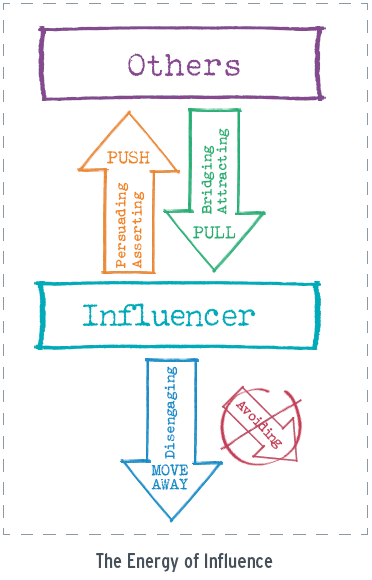 Why is Influence more important than ever? The organisational drive for greater agility, competitive advantage, and efficiency in the context of a high-speed, super-connected world, can only be delivered by workers with excellent cognitive and social skills. Sources of positional power – status, resources, expertise – are being eroded by technology. Shifting organisational and social norms mean that everyone is expected to exercise their personal power and influence regardless of their position in the organisation. 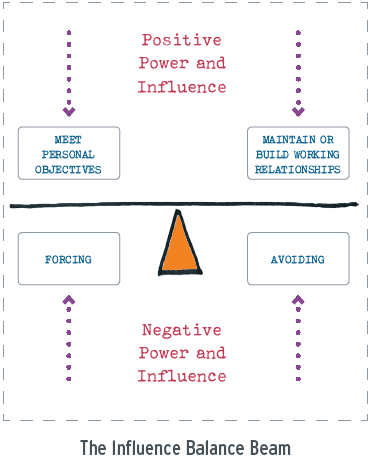 Developing workers’ personal power and influence skills means that everyone in the organisation can contribute. The blended programme is underpinned by an ethos of self-directed learning – there are some core activities before and after the group phase that everyone needs to undertake, but there are also choices around when, where, what, and how they experience different elements of the programme, so that they can use the learning methods that are most effective for them. At every stage of the blended approach there is a focus on the application of influence in the workplace/real life. The immersive programme, whilst seeking to develop strategies for real life application, has a focus on reflection and is a deeper experience that lends itself to experimentation, and a broader understanding of a preferred learning style. There will be opportunities to focus on specific learning objectives and for valuable one-to-one coaching. In-Company Programmes can be tailored to meet the objectives of an organisation and its people – they usually take a blended learning approach. The programme is extremely flexible and can be run at an organisation’s facility or off-site. A programme typically accommodates between 6 and 18 participants. The group phase can be of 2,3 or 4 days duration.